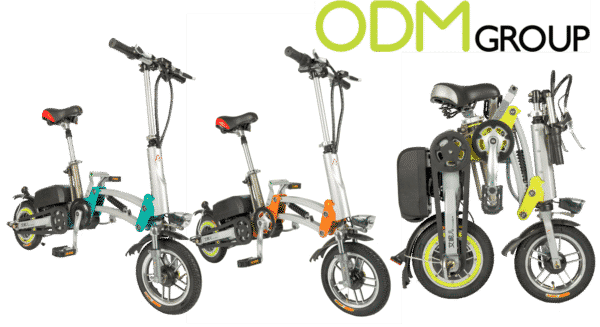 At ODM we are always on the look out for new and original promotional products, with that in mind, we will be discussing a new promotional idea– Branded Electric Bikes! 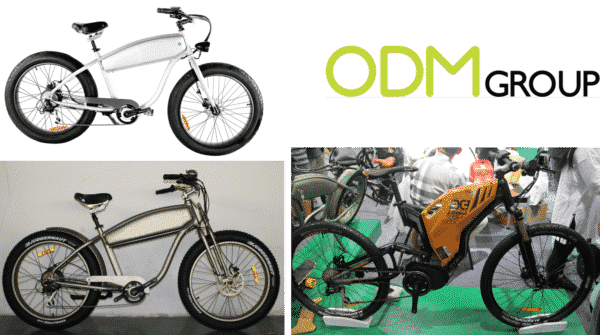 In this blog we will discuss 6 suppliers including the Branded Electric Bikes MOQ, what batteries are used, what certificates they have and what we like about them! 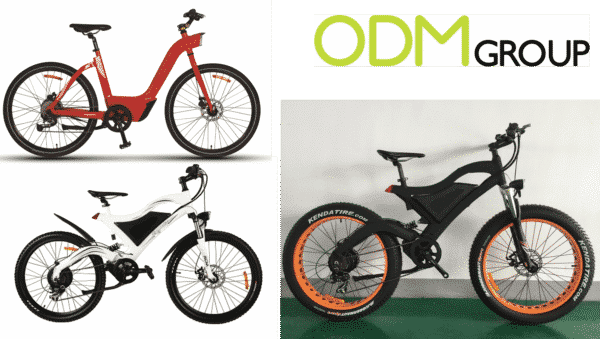 The MOQ for these Electric Bikes are 100/style and our supplier has CE certificates. The Batteries being used are Panasonic & Chinese Brands! These Chopper styled bikes have great branding potential for these bikes and at the top of the frame can have your custom logo there! The MOQ for these Electric Bikes are 20/order and our supplier has CE & EN15194 certificates. The Batteries being used are Panasonic, Samsung & Chinese Brands! With these models the battery is located in the middle of the bike, which allows branding to be done ontop! The MOQ for these Electric Bikes are 10pc and our supplier has CE, EN15194 & TUV certificates. The Batteries being used are Samsung, LG & Chinese Brands! This model has the fantastic option of being both electric and foldable, perfect for using in the big city! The MOQ for these Electric Bikes are 80pc/model and our supplier has TUV certificate. The Batteries being used are Samsung, Shimano & Chinese Brands! This model has the ability to have a wooden crate on the front and has a leather case at the back for the battery which looks really nice! The MOQ for these Electric Bikes are 100pc/model and our supplier has CE & EN15194 certificates. The Batteries being used are Dimotoa, Shimano & Chinese Brands! This model has the battery positioned above the back wheel and has a rack where you can attach bags or boxes! 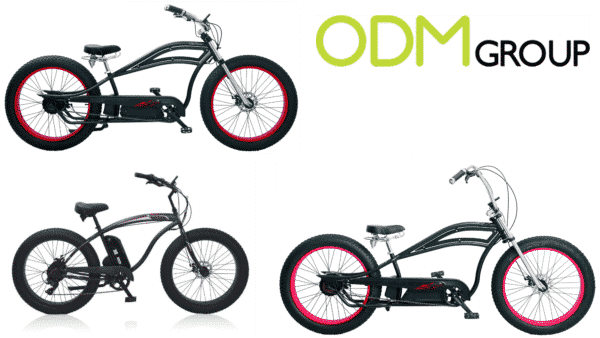 The MOQ for these Electric Bikes are 20pc/order and our supplier has CE & NSDS certificates. The Batteries being used are Samsung, Panasonic & Chinese Brands! This is the final model we saw and definitely had the most exciting style in mixing the Classic Harley Davidson or Off Rode Motorbike with an Electric Bike! We love unique and original products, although Electric Bikes weren’t at the top of our list to see at the Trade Shows, these styles jumped out to us and were just too good not to share! At ODM we have significant experience in product design, sourcing and manufacturing. We can help you with your marketing budgets effectively. Be sure to contact us if you are interested in finding out more information about Branded Electric Bikes!